If you?’re a practicing attorney or business professional in sports and entertainment law, or a law student interested in a career in sports and entertainment law, do check out the Black Entertainment & Sports Lawyers Association (BESLA). Elka F. Suber, Esq., assistant general counsel at Microsoft Corporation, did back in the 90s and it proved to be the best decision of her life. ?At the suggestion of my mentor, I attended one of BESLA?s conferences. There were a variety of sessions on various aspects of entertainment and sports law including TV and working on artist deals, which I was doing at that time; but it was the digital media panel that got me very excited. The panelists were talking about everything happening in the digital landscape in entertainment and the music industry. I loved the panel and found everything about it interesting; I left the conference knowing that that was the area of law I wanted to focus on,? Suber told TNJ.com in a recent interview. Suber, who currently serves as chairman of BESLA?s board of directors and formerly served as president (the second woman to do so), says the experience helped her to hone and focus on what has become her career. Today, current BESLA members are offered the same career-defining opportunities. 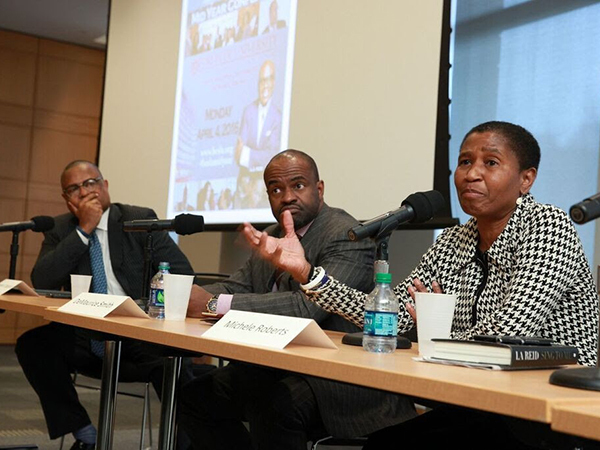 Earlier this month at the organization?s Mid-Year conference held in NYC at Fordham University?s School of Law, Michele Roberts, executive director of the National Basketball Players Association (NBPA) and DeMaurice Smith, executive director of the National Football League Players Association (NFLPA) were panelists who spoke on the topic of running a major sports union. According to Suber, high profile executives like Roberts and Smith are exactly the kind of talent BESLA seeks out for its members. ?”The one great benefit we have is that we have incredible members and incredible leaders associated with the organization. So, in looking at talent, we reach out to our members and the relationships they have to get the top leaders in specific practice areas and industries so that our members can have an opportunity to be exposed and learn and gain insight from influencers and leaders in the industry,?” she explains. Launched 36 years ago, BESLA was created to accomplish two things: to help improve the ability for African Americans in entertainment and sports to come together to network and get professional development; and to reach back towards students to allow a setting where they can learn more about the profession, and make connections for mentorship, internship and future job opportunities. Now, says Suber, its mission is about providing the best opportunities to help advance excellence for industry professionals in sports and entertainment as well as contributing to students? development. Based on BESLA?s packed Mid-Year Conference that I attended this month, they?re doing that and more. In addition to the panel that Roberts and Smith led, other panels included ?The Impact of Digital Media on Sports Broadcasting, Sports Marketing and Entertainment and Content Distribution;” “General Counsel?s Roundtable;” and “Navigating a Career in Entertainment and Sports.” And an event highlight was a one-on-one talk with legendary music producer LA Reid who?s produced some of the top artists in the music industry including Toni Braxton and Mariah Carey. For Suber?s part, her membership with BESLA has served her well. At Microsoft, where she?s worked for 10 years, Suber?s career is thriving. ?I came in to support their X-BOX business as their lead copyright lawyer. My career has primarily been focused on litigation and counseling in intellectual property with a focus on technology and copyright issues,? she says. Looking to the future, BESLA has big plans. ?We?ve been focused on having various conferences and networking events around the country. What you experienced was a one-day event in NY; typically, we do continuing legal education or career development courses and couple those with networking events in different cities. For example, we will have an event coming up in Los Angeles; we have another event coming up where we?ll partner with other organizations like the National Bar Association and do joint programming panels and networking receptions; we also have an upcoming panel and networking reception in the fall with the Congressional Black Caucus. And we end the year with our annual conference that we typically hold internationally,? Suber shares.